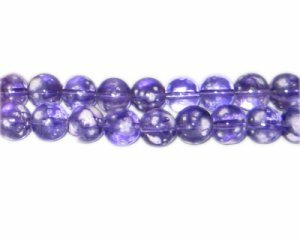 These are 10mm Purple Blossom Spray Glass Bead, approx. 21 beads on an 8" string. I received my first order today and I was extremely impressed by the beautiful beads I got. No other website comes close!